MergePay, the service that helps businesses manage their payment flows, has announced that will introduce support for 10 different bank account types across multiple countries in Southeast Asia. Currently in open beta, the service gives businesses an instant and visual insight into their finances, tracking their ingoing and outgoing payments on the go. Users can add and track bills via a range of manual and automated methods through the Web-based client and mobile app, while notifications and reminders can be set too. Thailand-based founder Ian Borders explains that the service is designed to “remove the friction” of payments to make it easier for small business owners to stay in control of their finances — which are ultimately crucial to their long-term success. 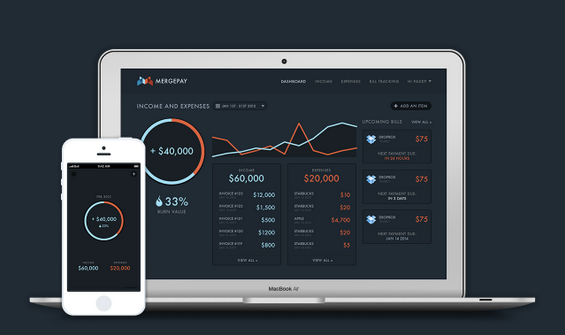 MergePay has come a long way since we first wrote about it last August. It now includes new features such as automatic scanning of receipts via the mobile app and expense tracking, not to mention payment processing itself. You can sign up to use the service in advance of its upcoming launch by visiting mergepay.com and providing your email address.